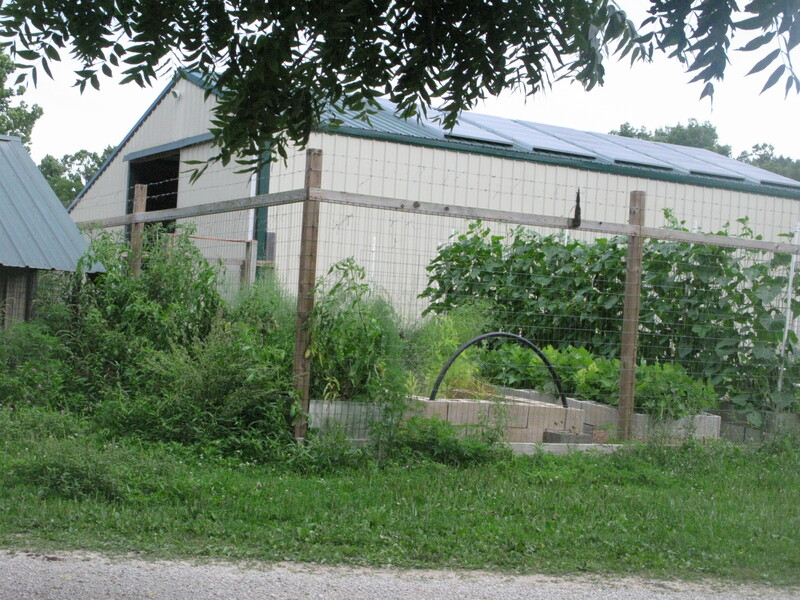 Above is a photograph of the barn where our baby goats eat and sleep (warning – adorable baby goats featured below!) until they are off their bottles and strong enough to eat grass and stay with the rest of the herd in the evening. Above, it’s time to feed baby goats. 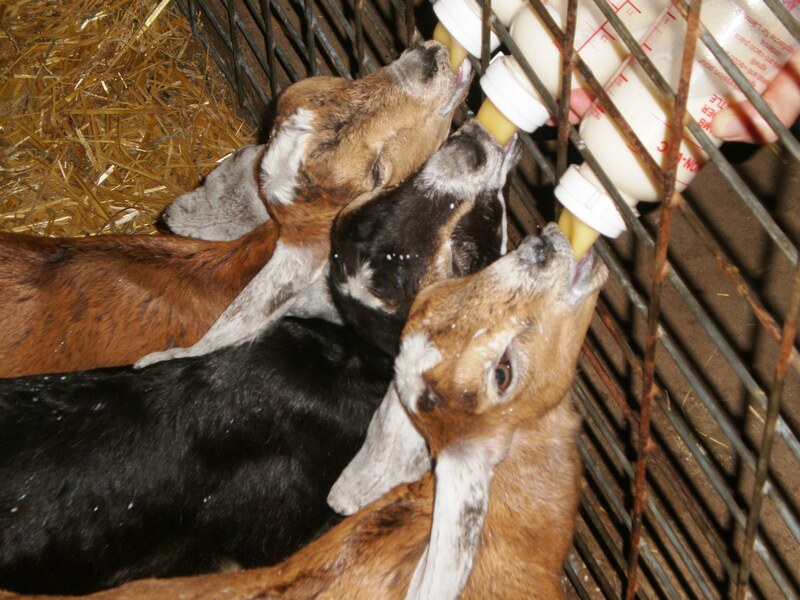 Here, some baby goats that are a few months old eagerly accept bottles from Mama Lesley.